An indian tribe is attacked by Mayans. The Mayans capture the tribes warriors for sacrifice to the gods. I guess it's ok to let 5 years pass before I picked up this movie to see. The movie is long, but doesn't feel so, which must be a good thing. 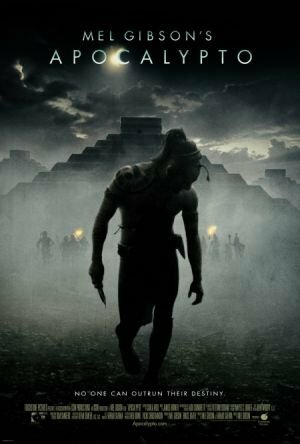 You keep being amazed by nature scenes, violence scenes or great Mayan empire scenes, so it passes through as a GREAT movie... I mean the feel of a big movie. I like the fact that Gibson kept from letting the indians talk english. I'm not sure what they speak, but it seems very convincing and gives a feel of historical correctness.